We'll send it right away! 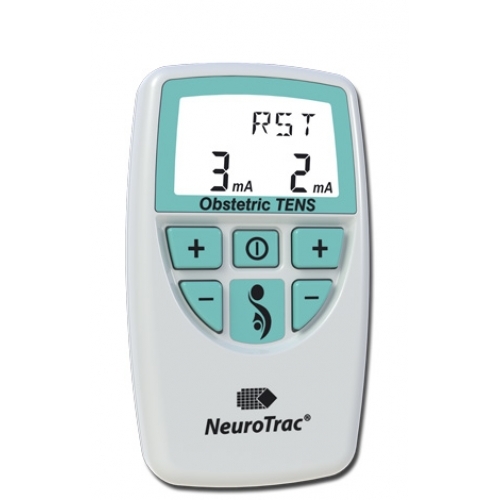 Getting ready for your new arrival is one of the most exciting things you can do before labour, that is why at Baby TENS Hire we know that whether you are looking forward to giving birth med free for a drug free labour, or using a little pain relief our neuro trac unit will help you make your decision. Use it alone or with other forms of pain relief. Many women have benefited from tens machine hire as a drug free, pain free way to reduce pain during labour. You can hire your tens machine well in advance - just state your due date and we'll ensure that you receive your tens machine ready for 37 weeks. We provide a FREE delivery service when you hire our tens machine. Simply place your order and we will take care of delivering it first class recorded straight to your door. If you've left it a bit late, not to worry, for a small fee we provide an option for a speedier delivery. The main thing is that there are no side affects to mother or baby. It is extremely easy to use. You can be mobile during your labour should you wish whilst using the TENS machine allowing you to move freely and change positions when you need to. Our TENS machine comes with a clip so you are able to attach to a peice of clothing should you wish. You can use the TENS machine for as long as you wish and even after birth if you suffer with uterus crampings. Labour can have many false starts and many women have found the Neuro Trac machine extremely useful in this situation as well as being very comforting during the journey to hospital and well into the main stages of labour. Our TENS machine will give you the comfort of being in control of your labour, it helps to mask the pain of the contractions as well as distracting you from the contractions themself. Lots of women have also found our TENS machines a great form of pain relief in assisting them during a home birth. The Neuro Trac can also be used alongside a water birth as the effects of the TENS will remain in your system even after you have removed the TENS and entered the birthing pool. We aim to keep our prices low but our service is still second to none, our tens machine service is considerable cheaper than many other TENS machine rental companies. We are a family run business and our customers needs are extremely important to us and being a mother myself my aim is to provide women with a positive birthing experience too. Don't delay, hire your TENS machine today! Any questions please feel free to contact tens machine hire service today.